An honest, raw account of living a nightmare. Real. Raw. Brave. Startling. 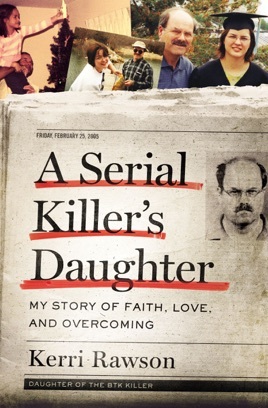 "A Serial Killer's Daughter" doesn't hold back any of the feelings of Kerri Rawson as she lived and survived learning of the horrors committed by the father she truly loved. Thankfully not overly descriptive or gruesome, but a fact-filled account of the BTK serial killer's impact on his family. How two very different men could live in one body and murder children and adults alike and remain free for so long is difficult to comprehend. Kerri describes her actions, her her thoughts, conflicts and doubts with raw emotion. She also shares her spiritual journey and how she draws strength from the Lord through it all. A five star book for Christians and non-Christians alike, I found it difficult to put down and when I did, it remained fresh in my mind. Thank you to NetGalley for an advance copy to review.